Bark City’s Initial Temperament Consultation ensures that your dog is a great fit for our cage-free daycare facility. Your dog will start by meeting Daphne, our unofficial host (and French Bulldog) for some quality one-on-one time. 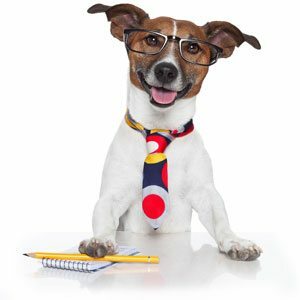 If that meeting is successful, your pup will be taken into a room with a small group of dogs for group observation. If no incidents occur, we’ll move into the main playroom for the final test. Once your canine has passed our assessment, they’re welcome to stay with us here at Bark City any day of the week! For your convenience, we highly recommend that you make a reservation for your dog’s initial temperament test. Please fill out the form at right to schedule your appointment. What types of dogs do well at Bark City? What types of dogs don’t enjoy Bark City?